There are so many on our face that we feel insecure about such as acne, large pores, clogged pores as well as problems of our oily skin and the worst ones are probably blackheads. Those are clogged pores, dead skin cells that usually strikes around the nose as well as under the chin. Those blackheads really annoying when we have problems on the face and usually they happen to teenagers or young moms. 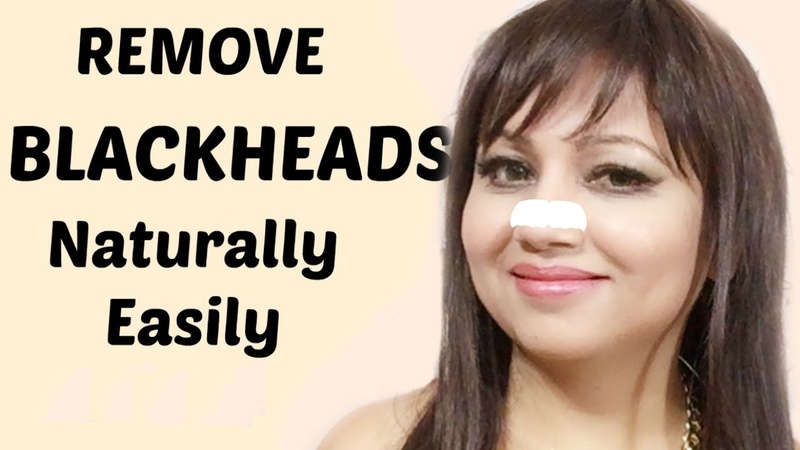 For those who constantly have to struggle against those pores, it is the best that they could take measures to get rid of those pores and blackheads on your skin. Along with using some skincare products, you could take actions with home remedies in the first place. They almost come from your kitchen and of course, they are effective in fading off blackheads on your face. The most important note in treating blackheads is to make sure that your skin is cleared properly. In cleansing steps, there would be cleansing on the surface and double cleansing and finally, the most deciding step is to scrub your skin. This will allow you to deeply clean into the pores, take all the dead skin cells, dirt and impurities away. Baking soda would be the best choice for this step. To make the most out of it, you should create the mask from baking soda, lemon and honey following the equal amount of each. Honey is rich in antioxidants and anti inflammatory ingredients, which would turn into a very efficient cleansing property. You could use honey to create face mask to apply every two days before going to sleep. Along with cleaning your skin to minize the pores so that blackheads will be treated, honey is great in helping you have smooth and bright skin as well. You can mix honey with lemon, tomatoes, green tea powder and yogurt, whatever ingredient that is available in your kitchen. Green tea is a valuable ingredient you could take advantages at home to take care of your skin. You can use either green tea fluid or green tea powder to treat blackheads. Green tea powder would be powerful in turning into a face mask before heading to bed. You would feel so relieved and refreshed when applying this mask. For green tea fluid, you could use to clean your face twice a day. Turmeric is famous for brightening your skin; therefore, it would be best in making blackheads disappear. Similar to the above, the simplest way to make use of turmeric is using the powder to make a mask. You can add along with honey and yogurt for the best result. Another ingredient in the kitchen would be effective in taking out off all dead skin cells dirts deep down in the pores is eggs white. · Beat up eggs to take out eggs yolk. · Directly apply over your damp face. · Wait for 10 minutes before rinsing off with warm water. · Apply your night cream before going to bed. · Repeat this action twice or three times a week for the best result.